Do you like boardgames - or have someone on your shopping list that does? Then this is a giveaway you will definitely WANT to enter! 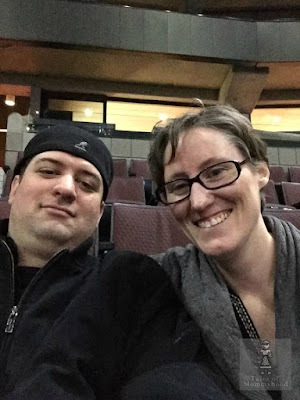 Outset Media is offering a prize pack worth $250.00. They are a Canadian company and market their products throughout North America, Australia, the Caribbean and Europe. 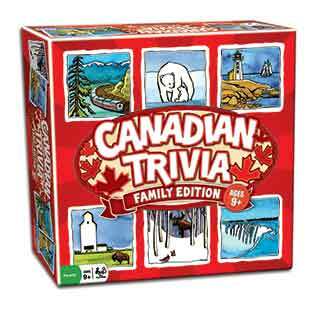 While browsing the website, I came across the Canadian Trivia game - for ages 9+, it's a great way to spend some time with your family AND learn facts about our Country. The cards have questions on both sides (one harder than the other) making it great for the whole family. I just got hungry looking at the ice cream puzzle - I'd put that under my tree! 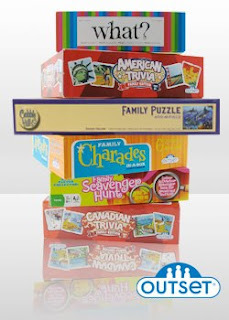 The Kid's Charades in a box would be great under the tree this year! !